The new Chroma 62000P Series programmable DC power supplies offer many unique advantages for ATE integration and testing. These advantages include constant power operating envelope, precision readback of output current and voltage, output trigger signals as well as the ability to create complex DC transient waveforms. 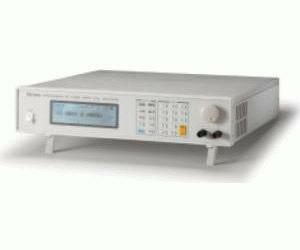 Designed for automated testing DC-DC converters and similar products. The 62000P Series includes 5 different models ranging from 600W to 1200W, up to 160A and up to 600V. Due to their constant power operating envelope a single instrument can provide both high voltage/low current AND low voltage/high current thereby reducing the number of supplies needed in typical ATE applications. The 62000P Series also includes 16 bit readback capability for accurate voltage and current readings. This means systems no longer need complex shunt/multiplexers to make accurate readings of the input parameters of the UUT. The instruments also include I/O ports providing 8 bit TTLs, DC-ON, fault output signal and remote inhibit as well as a output trigger signal for system timing measurements. experience voltage interrupts. Applications include DC/DC Converter & Inverter voltage drop test, engine start-up simulation, battery automated charging, and electronic product life cycle test.